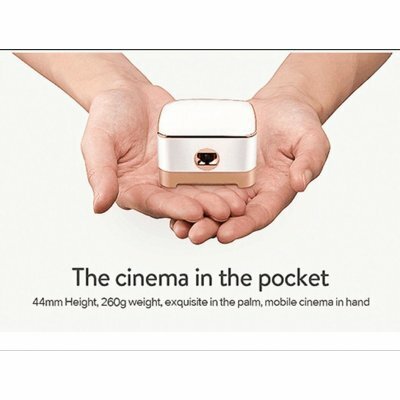 Successfully Added P07 Mini Projector - Android 7.1, 100 Inch Projection, 50 ANSI Lumen, 854x480 Resolution, 4200mAh Battery, 1:1000 Contrast Ratio to your Shopping Cart. This 50 ANSI Lumen projector allows for real resolutions of 854 by 480 pixels and at 7.5 in length 7.5 in width and 4.4cm in depth it is compact enough to carry in your pocket. Running on an Android 7.1 OS this projector has a friendly user interface similar to that on your smartphone. This makes it easy to find and play media whether you stream the content from online or play directly from a micro SD card or USB memory stick. Dual-band Wi-Fi means you can content to the internet without cables and still enjoy fast network speeds. 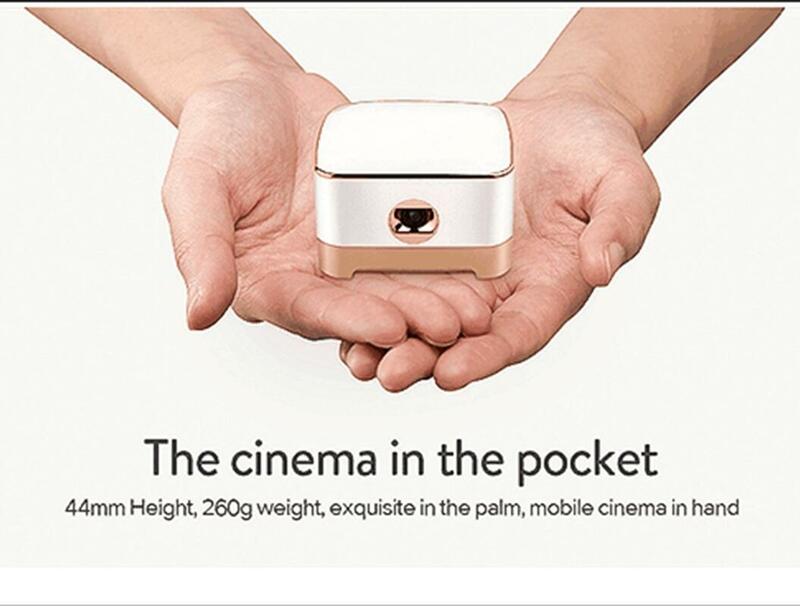 This pocket projector boasts an image size up to 100 inches for life-size movies just like in the cinema. This offers an immersive viewing experience that is great for games, TV shows, sports, and films. Thy automatic keystone correction makes for an easy setup while the and 1000:1 contrast ratio ensures rich color depth and recreation. The hardware in this projector is a quad-core processor and 1GB of RAM so can easily browse the web, stream movies, download content and even lest you play games on a large screen. Equipped with a 4200mAh battery you have a portable theater that can be setup without any cables, ideal for entertainment on camping trips, holidays or for impromptu presentations. The P07 mini projector comes with 12 months warranty, brought to you by the leader in electronic devices as well as wholesale pocket projectors and audiovisual gadgets.